Description: Conventional geologic thinking always said that the landscape between Idaho and the Cascade Mountains - a unique place characterized by gullies, coulees, and deserts - was created over millions of years by rivers that had long since gone dry. Science professor J Harlen Bretz (who made up his own name and intentionally didn't use a period after J), thought otherwise. Based on extensive research and keen observation, he believed this area had been scoured in a virtual instant by a massive flood. Because Bretz was a gadfly in the scientific community and his idea sounded like an attempt to prove the biblical flood, he was personally and professionally attacked and humiliated. Undaunted, he applied all of his skills to proving his thesis, but he would have to wait for confirmation until satellite photography became widespread years after his retirement. 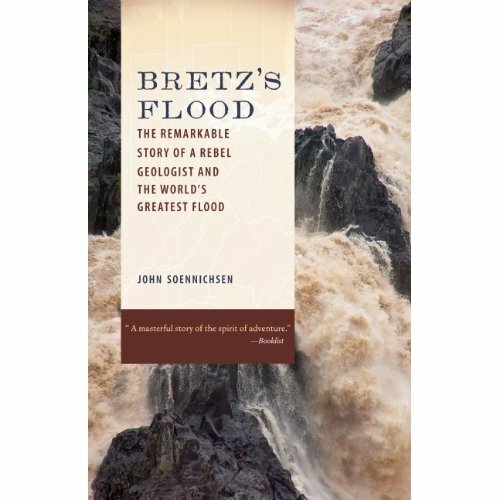 Bretz's Flood tells an exciting story of an epic mystery of the western landscape, how it came to be solved, and the fascinating scientist who did it.